Is AMD RX 470 A Perfect Graphics Card for 1080P Gaming? AMD launched the AMD RX 470, 9 months back, along with the AMD RX 460. Both the graphics cards are based on Polaris Architecture. 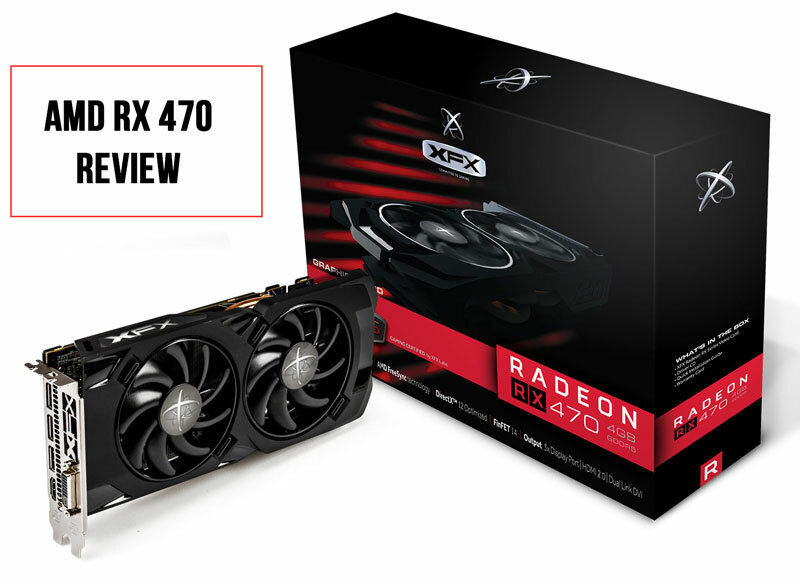 Notably, AMD has recently launched a newer version of the AMD RX 470, the AMD RX 570. There is still a shortage of the RX 570 in some of the countries (including India) due to cryptocurrency mining. Also, the price for the AMD RX 570 has been moving crazily up and down due to the sudden demand from the miners. Even graphics card companies are launching special-edition cards for crypto-currency minors. I am not sure how long this craze will last. And if it ends abruptly, we may see a fall in demand and price for graphics cards. You May like to Read – We recently reviewed the AMD RX 460. One reason to review these cards now is that these are available at a steep discount. We tested both the graphics cards in depth to find out how these perform for Gaming and Video Editing. 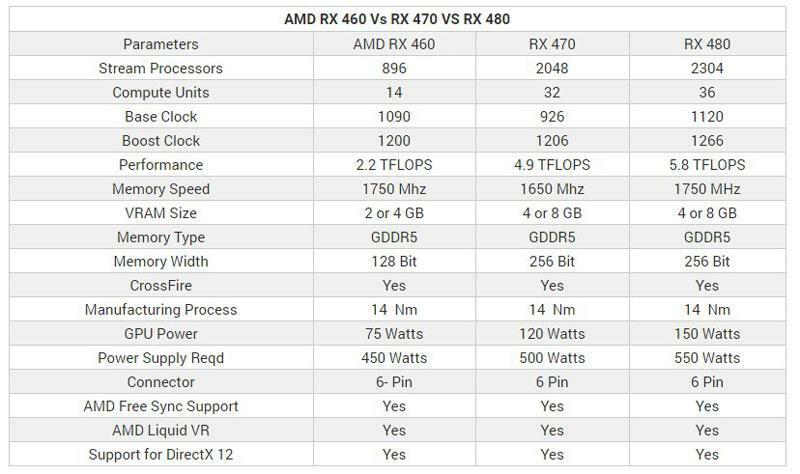 Moreover, the AMD RX 570 comes with same core technologies and architecture, besides, a little boost to memory and Core Clock speeds. Also, when the graphics cards are released drivers are not mature, takes some weeks. The performance improves over time. This review will also help to know about the performance of RX 470 with the latest AMD Crimson Drivers. Currently, the AMD RX 470 is available in the range of Rs. 16,000 to Rs 18,000 in the Indian market. 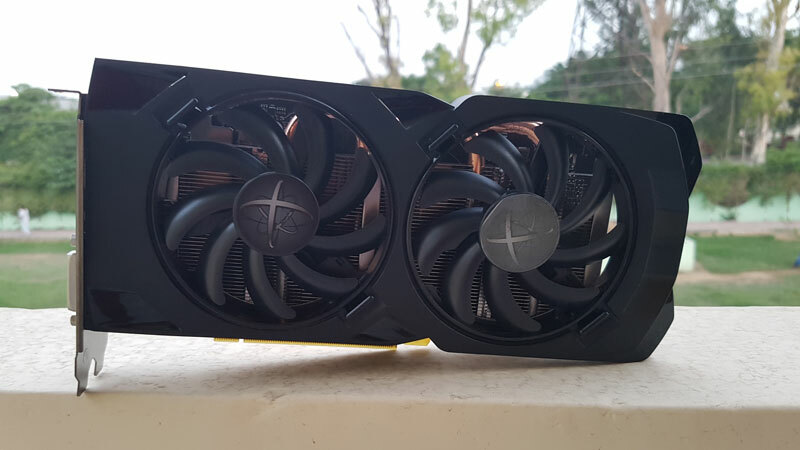 There are several manufacturers like Asus, Sapphire, Gigabyte and XFX who have their own RX 470 models, In this review, we have the XFX RX 470 Black Edition with 4 GB GDDR5 VRAM. For starters, AMD RX 470 comes with GCN 4 architecture and offers around 4.9 TFlops of graphics performance in comarison to the 2.2 TFLOPS of the AMD RX 460. The performance is much higher compared to the RX 460 and our benchmark tests will showcase how much faster this graphics card is in comparison to RX 460 and GTX 1050 Ti. Let’s have a closer look at the design of the XFX AMD RADEON RX 470 Black Edition (4 GB VRAM). The back side of the card has a backplate that covers the circuitry, and there are no ugly soldered points are visible. The Graphics card comes with Coolers with 90 mm fans to ensure higher airflow that keeps this card very cool and quiet. Notably, the Graphics card comes with First Hard Swap Detachable Fan Design. In the case of a fan failure or if the performance is degraded these fans can be taken out, and can be replaced. There is a nice VRM heatsink with uni-body design below the fans that can offer up to 40% better cooling in comparison to the earlier designs. 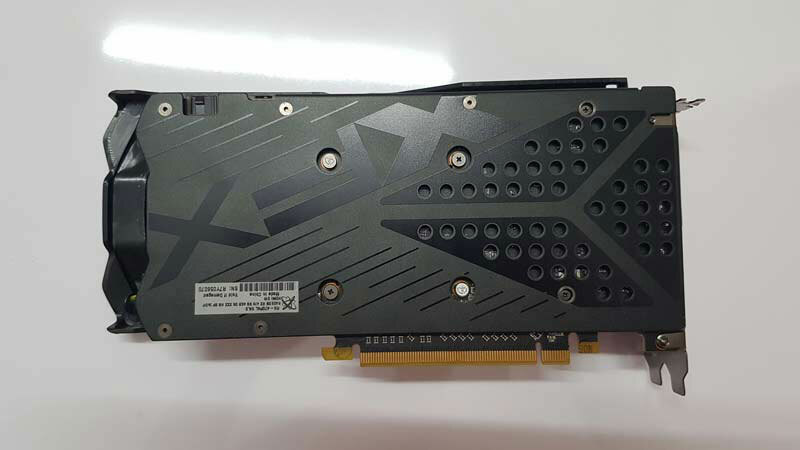 Further, it has a Zero dB fan technology, starts and stops the fans depending on the GPU load, to ensure quiet operation under low load conditions. Additionally, the Graphics card support Vulkan, AMD Free Sync, and AMD Liquid VR technologies. The RX 470 is manufactured using the 14 Nm process and has support for DX 12 Game titles. 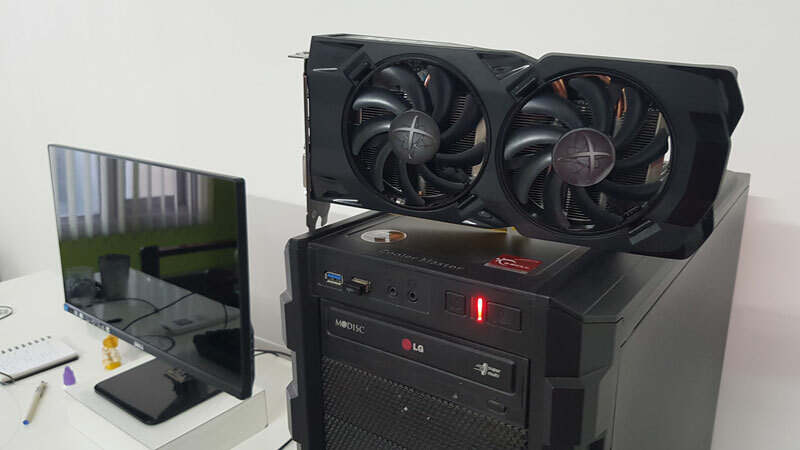 Besides, AMD Eyefinity technology (multi-monitor) is also supported and you can even do a crossfire with the AMD RX 470 by adding another similar card. Further, the GPU supports HDR for better color reproduction and can work with the new HEVC Format for videos. Key Specs For the XFX AMD RX 470 Black Edition. 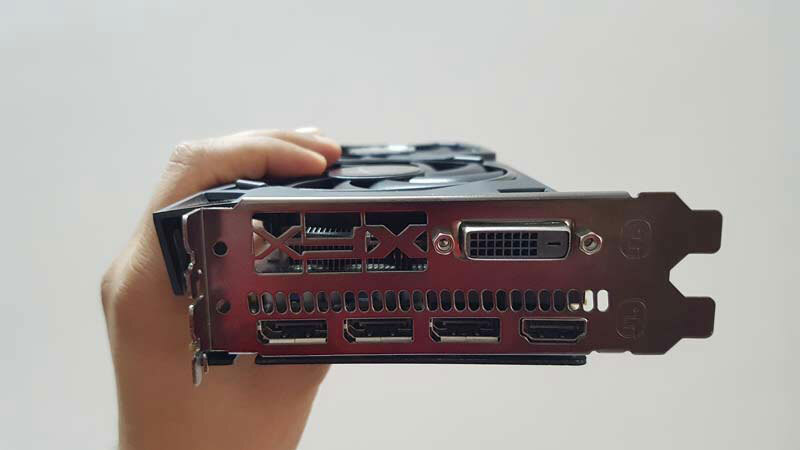 Installation and Software – Installation is simple, you will need to plug the card in the PCI-E 3 port in your motherboard and connect the 6 Pin Power connector to the graphics card power input. Plug the HDMI or DVI cable at the back of the graphics card. Would have liked more lights in this XFX graphics card, things look a lot more lively with some lights and cool text illumination. Download and Install the AMD Crimson software and latest drivers from the AMD Website. It may ask for a restart once the software is installed. If you have not done something out of the box, then it is time to game. Else repeat. Now Let’s look at our system specs which we used to do the testing for games and Video Editing. 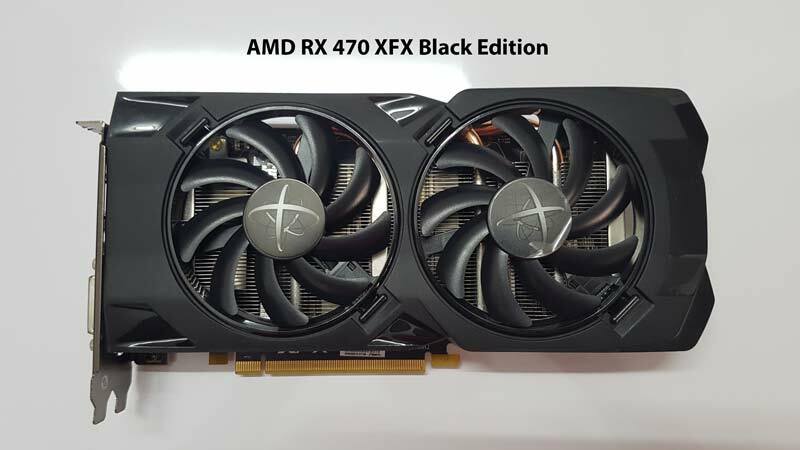 GPU – XFX Radeon AMD RX 470 Black Edition (4 GB). I think most of you would not be pairing it with an Intel Core i7 or the AMD Ryzen 7 series processors. As you should ideally buy a GTX 1060, GTX 1070 or AMD RX 580 / RX 480 to go with that configuration. It is better to pair the AMD RX 470 with the Intel Core i5 or Core i3 or even with the new AMD Ryzen 5 series processors. 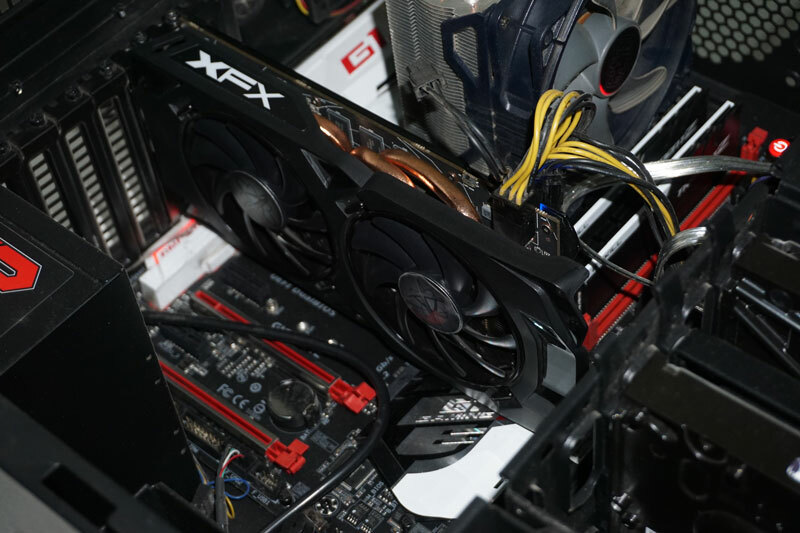 In this review, we tested the RX 470 on the Full HD Resolution 1920*1080 pixels. Let’s go through the gaming benchmarks to find out if it is ideal for 1080P resolution. In the gaming test, I have added AMD R9 280 OC edition (an old faithful friend) and the AMD RX 460 to see the relative performance. Also, we have the Nvidia GTX 1060, GTX 1070 and the 1050 Ti. Crysis 3 is my personal favorite to torture new graphics cards. Crysis 3 is one of the most punishing games of all time, and it can melt any GPU. 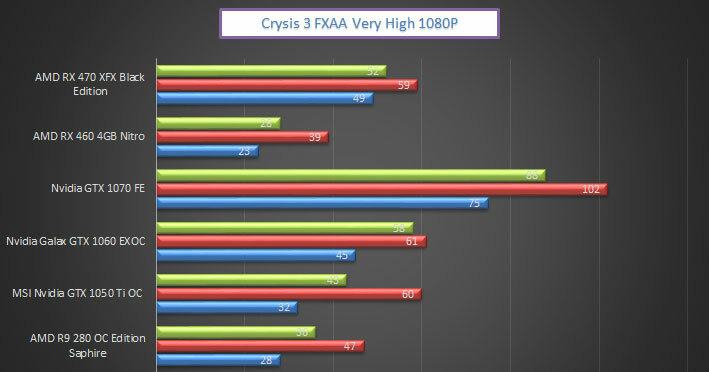 XFX AMD RX 470 scored 52 Avg FPS at very high settings in the game. It is pretty good numbers and the gameplay was smooth as butter at 1080P resolution. It is much faster than the AMD RX 460 and even beats the GTX 1050 Ti. 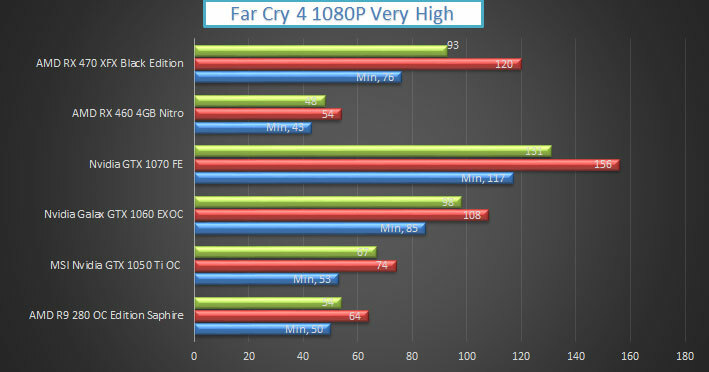 FarCry 4 – It is another graphics intensive title, and our RX 470 sailed over 90 FPS easily in this game too, keeping the settings at very high. The graphics card beats the Nvidia GTX 1050 Ti with ease and matches the GTX 1060 in this title. Fallout 4 – FallOut 4 is one of the most popular titles of 2016, and the AMD RX 470 performed to my expectations. The Avg FPS was close to 72 in this title. GTA V – GTA V is no exception, and we are able to push over 50 FPS in the game with the AMD RX 470, at very high settings. Witcher 3 – Last Game in the list is Witcher 3. The AMD RX 470 was able to manage 42 FPS on very high settings, and matches the performance of a GTX 1050 Ti. Battlefield 3 – If you are interested in the Shooting games the BF3 and BF4 are excellent choices, and there is also Battlefield 1 to look at. 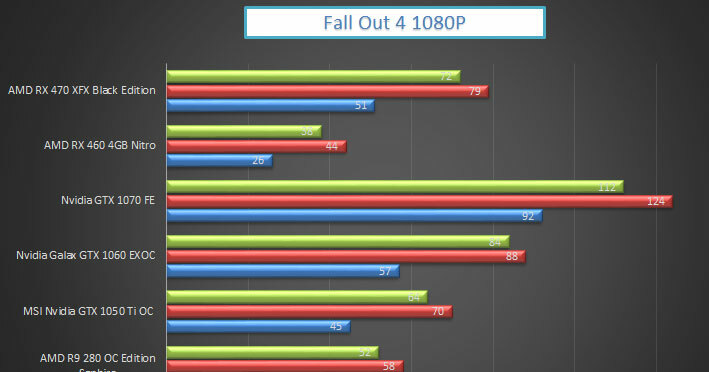 In BF3 the XFX AMD RX 470 Black Edition performed moderately, though easily hitting over 100 FPS on an average. However, it is slower than the AMD R9 280 and much slower than the GTX series cards. I think it is more to do with how the game is optimised to suite Nvidia architecture Vs AMD. 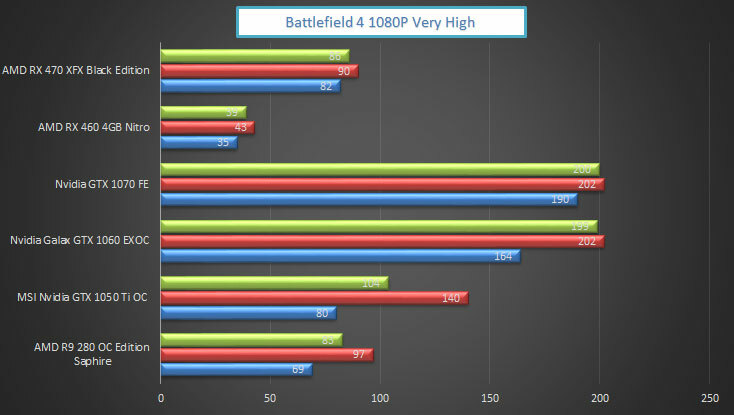 Battlefield 4 – It is slightly more demanding than the Battlefield 3, but the XFX AMD RX 470 Black Edition easily managed to run over 85 FPS on an average. If you are buying the graphics card for playing some of the popular less GPU demanding games, like Counterstrike GO then there are no worries even at 1080P even at ultra settings. 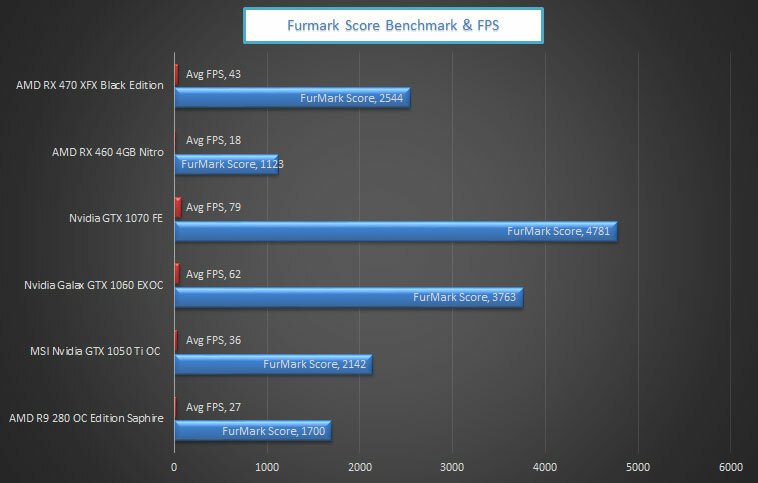 Next is the lone Synthetic Benchmark Performance – Furmark,is a punishing benchmark for measuring the GPU performance. 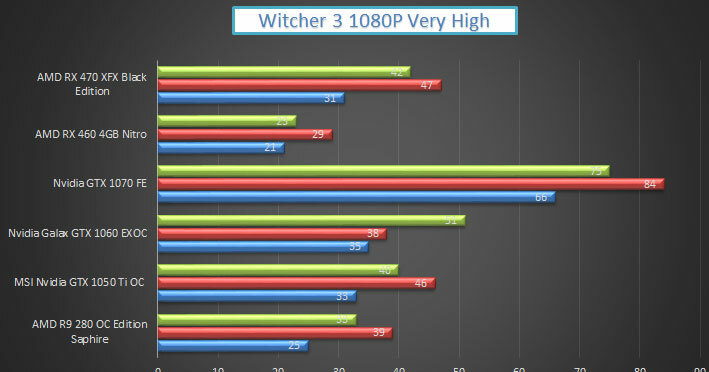 Besides, It measures FPS and provides an overall score for graphics performance. Furmark Score was 2544 for the AMD RX 470 along with average FPS of 43. 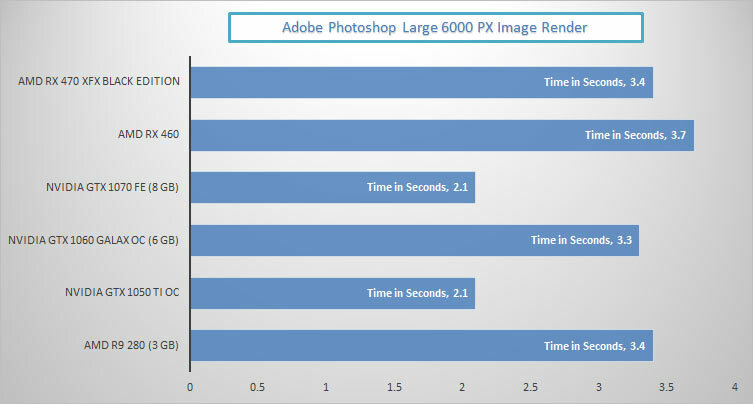 The Adobe Photoshop performance for the AMD RX 470 was decent and was slightly faster compared to the AMD RX 460. 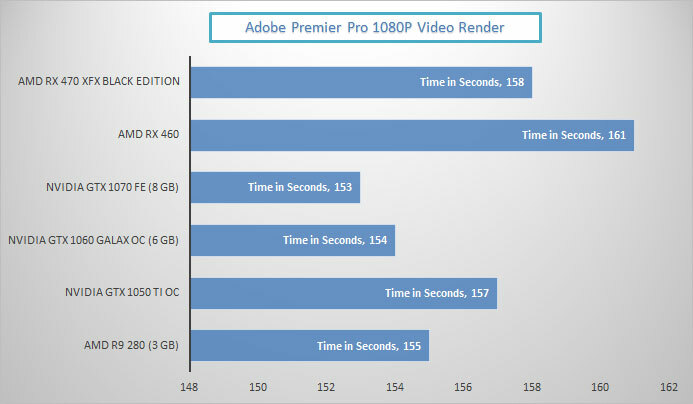 The performance was surprisingly good for the budget card,it is not a slouch when it comes to video editing. While editing a 1080P video, it took some time as a GTX 1050 Ti. In this test, our old AMD R9 280 managed to push ahead by 2 seconds. Coming to the last part of our review but crucial for the folks living in hot countries. Moreover, this is one thing which I really liked about this card. And even pushing it in most graphics intensive games it stayed below 77 degrees Celcius, and the average temperature was around 73 degrees Celcius. 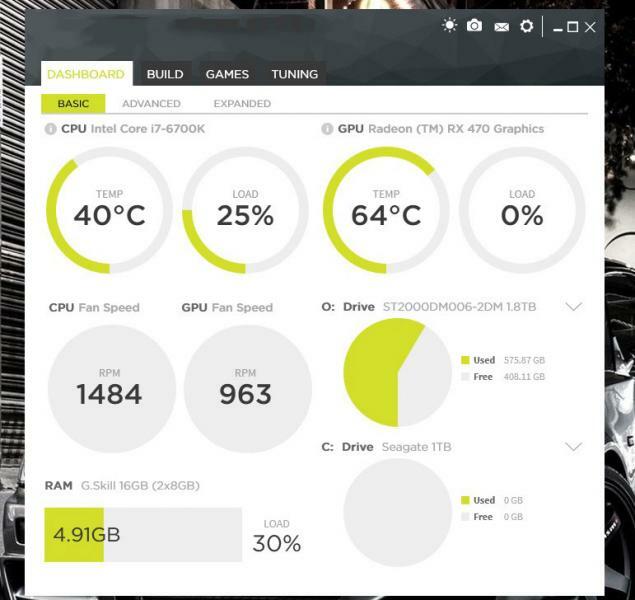 It is not the coolest card from the lot I have tested but way better than some of the Zotac cards that touched the 90-degree mark in my previous testing. 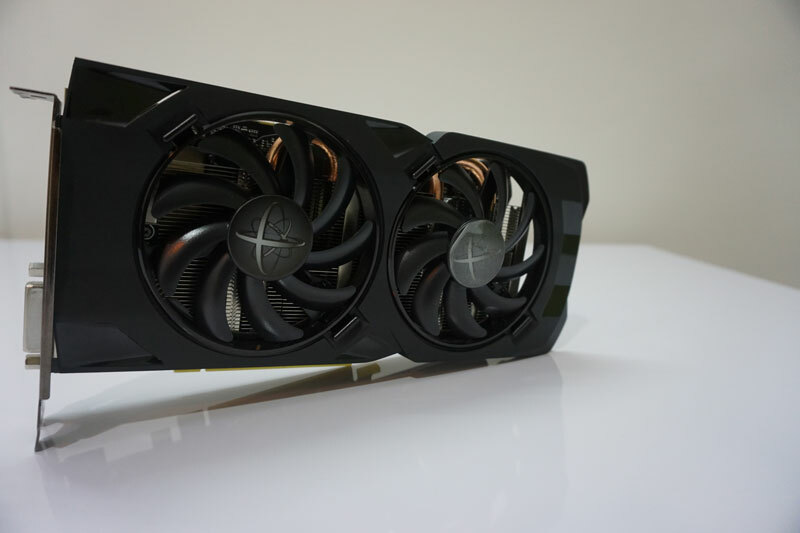 Concluding Thoughts XFX AMD RX 470 Black Edition Review – IS the AMD RX 470 Good for 1080P? The AMD RX 470 is a rock solid performer. 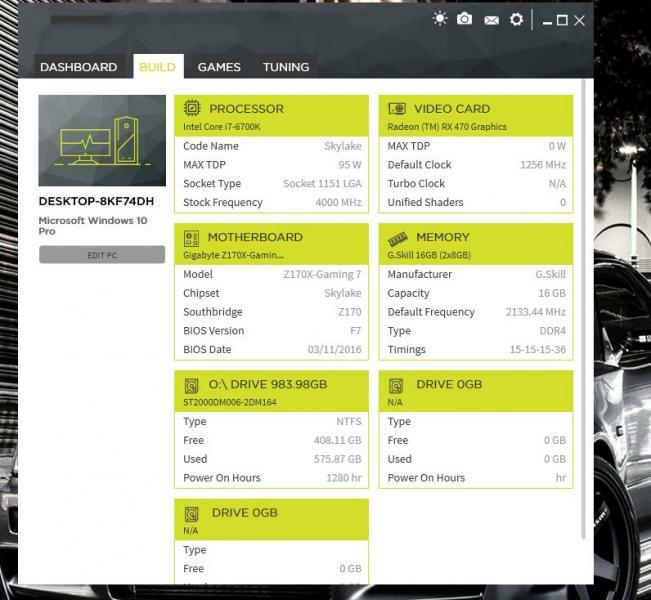 In fact, the graphics card can own any game at very high and even ultra settings for 1080P resolution. Additionally, you can pair it with an Intel Core i5 or AMD RYZEN 1500 or higher, and you are set to rule the latest titles. In Conclusion, It is an excellent addition to build a high-performance gaming PC or want to edit videos or photos. It’s a good upgrade to an old AMD R9 260, R9 270, HD 7870 or Nvidia GT 650 or GT 640 or something similar. The AMD RX 470 can give your gaming experience a major boost. Approximately, it can increase the gaming performance by 20% compared to these older graphics cards. The AMD RX 470 is faster than the Nvidia GTX 1050 Ti and slower in comparison to the Nvidia GTX 1060 in most of the titles. 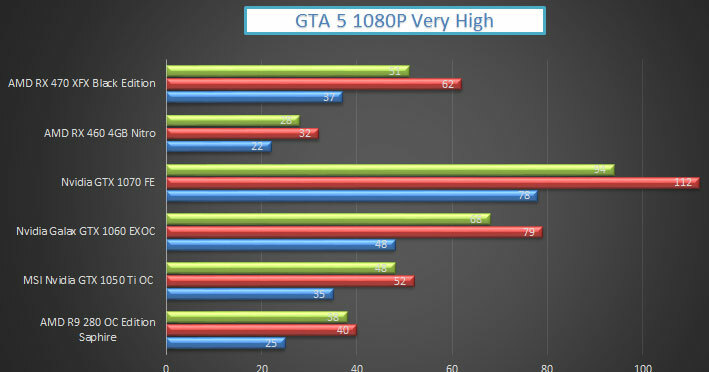 As our testing reveals the Graphics card can play games at 1080P without any difficulty. For a Rig with 2K monitor, it is better to buy the GTX 1070 or AMD RX 580. The RX 470 / 570 graphics card can easily run all the latest/upcoming PC games without any issues @ 1080P. Lastly, the AMD RX 470 or the AMD RX 570 are a decent solution for all gamers looking for a powerful graphics card to experience adrenaline-pumping graphics in the latest AAA Titles. You can also read my review of AMD RX 46o or Nvidia GTX 1050 Ti here. Senior Editor - Tech Enthusiast for Life! A Decade of Experience in Telecom - B.Tech + MBA! I am usually busy testing new PC hardware or phones. Let's Connect. Hi..can you help me to find i7-4790 at reasonable price?? i have 1150 socket motherboard and ddr 3 ram so i dont want to change the whole rig just processor and graphics card but i couldnt find in kolkata i7-4790..i checked almost 8-9 shops including Md computers,galaxy etc..they said they dont have any stock so..